Assassin’s Creed Rogue Remastered will offer an even more beautiful and immersive gaming experience that invites fans of the series and new players alike to discover, or rediscover, Shay’s adventures in 18th century North America. Assassin’s Creed: Rogue Remastered was released on PS4 and Xbox One 397d ago in the US and the UK. 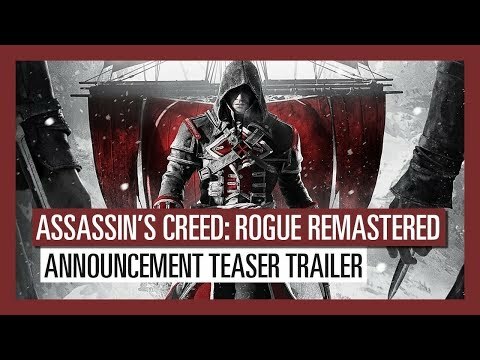 Notify me when Assassin’s Creed: Rogue Remastered is available. Based on 10 Assassin’s Creed: Rogue Remastered reviews, Assassin’s Creed: Rogue Remastered gets an average review score of 71. Assassin’s Creed Rogue was a game that turned out to be better than Ubisoft was perhaps expecting. Assassin’s Creed Rogue Remastered is a modest remaster but a good one. Focusing only on graphics, Assassin's Creed Rogue Remastered is an acceptable remaster of a game featuring mechanics that already felt dated four years ago. While Rogue is polished and tells a different story than one you’d normally encounter in the Assassin’s Creed franchise, time hasn’t done the title any favours. Assassin’s Creed Rogue Remastered has some noticeable graphical improvements, but not enough to overshadow the gameplay flaws of the original. Rogue's story remains intriguing but it's hard to go back, especially after Origins. Now that Ubisoft has taken a break from the series, returning with the refreshing Origins late last year, the issues that Rogue has are more pronounced than ever before. If anything can be taken from the release of Assassin’s Creed Rogue Remastered, it is that the series has come a long way in a short period of time.